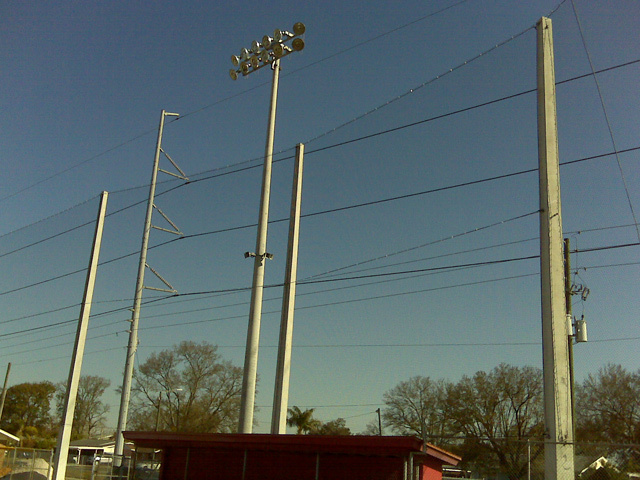 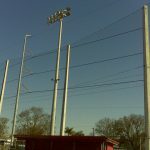 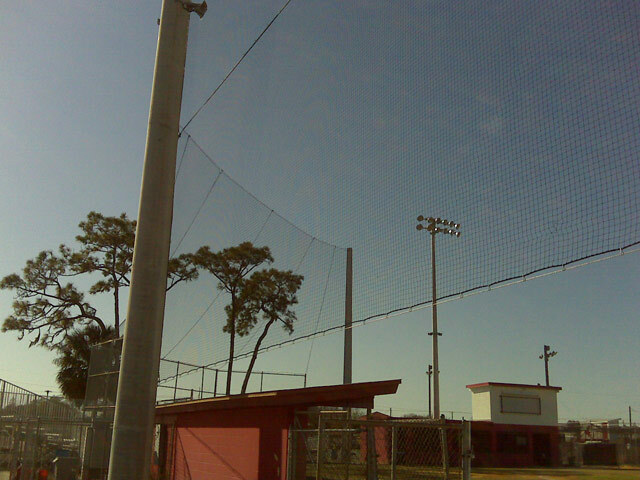 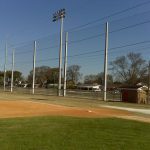 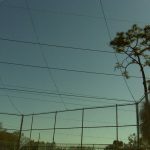 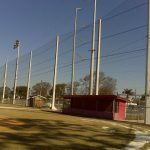 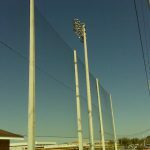 Chamberlain High School is located in Hillsborough County, and this site was installed using concrete poles and barrier netting. 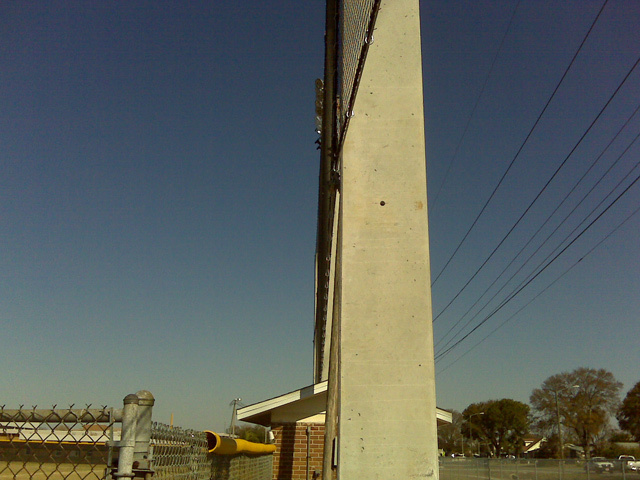 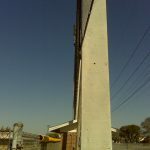 The concrete poles are spun concrete and they were used because of the wind code, rusting, and maintenance on the site. 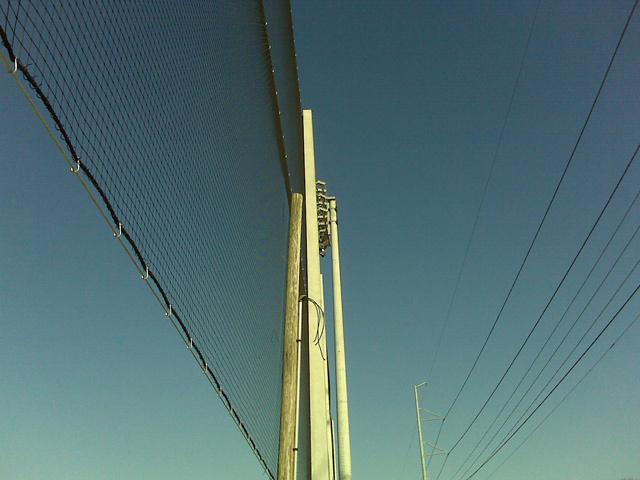 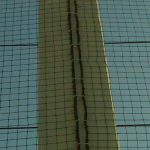 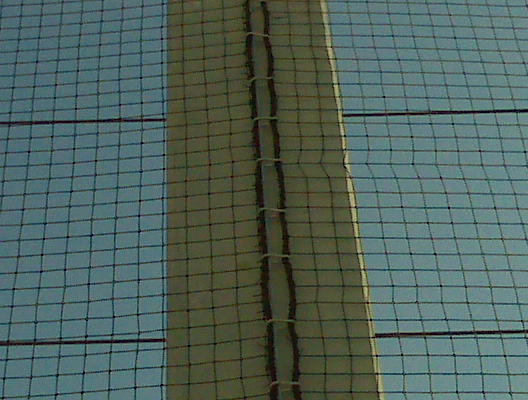 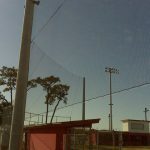 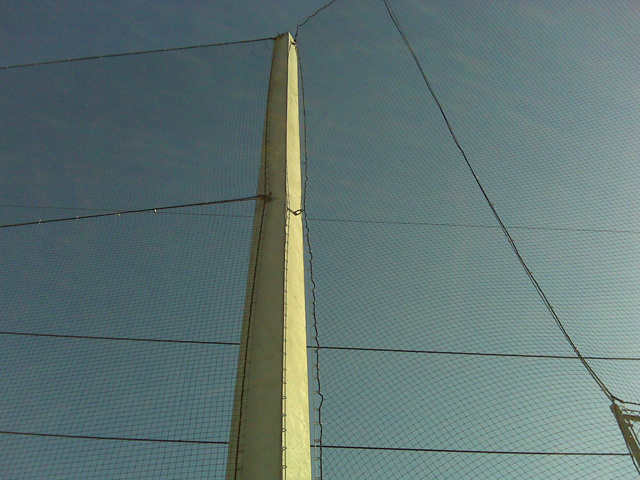 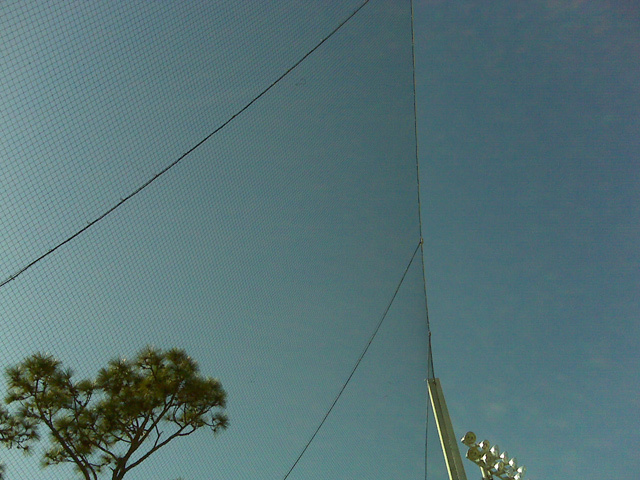 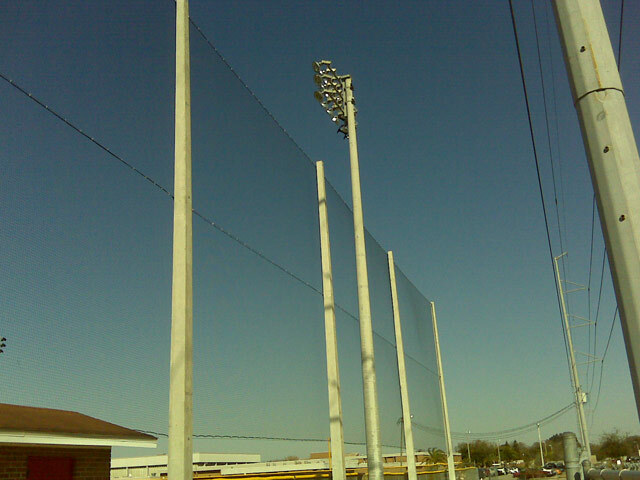 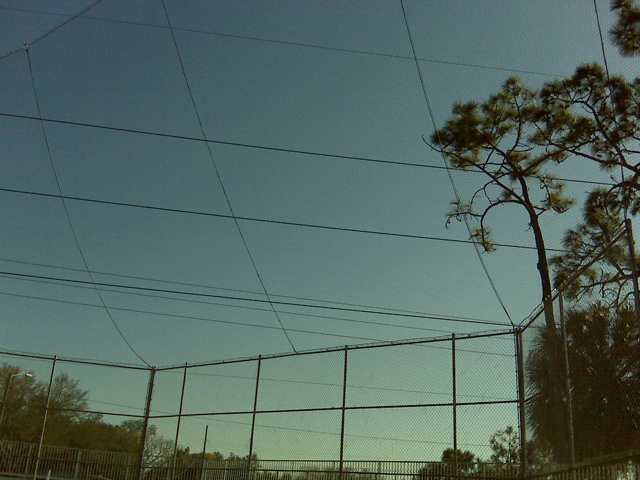 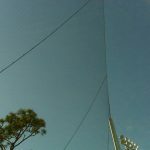 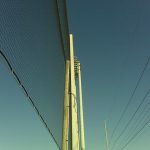 The barrier netting is baseball grade and it was installed just above the chain link fence for protection. 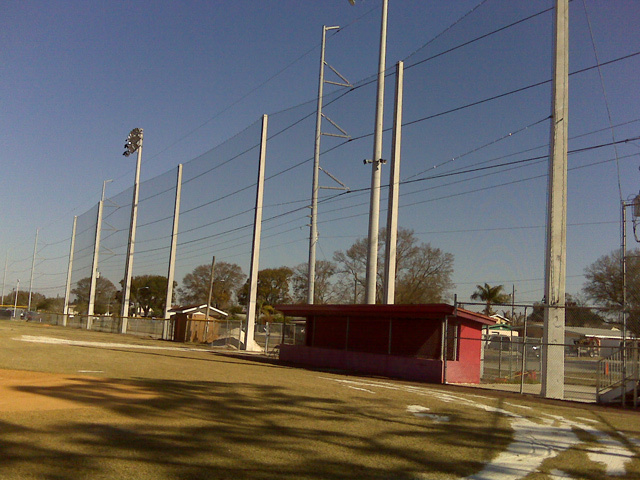 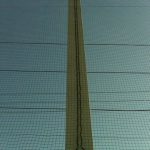 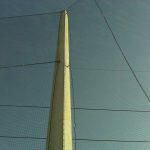 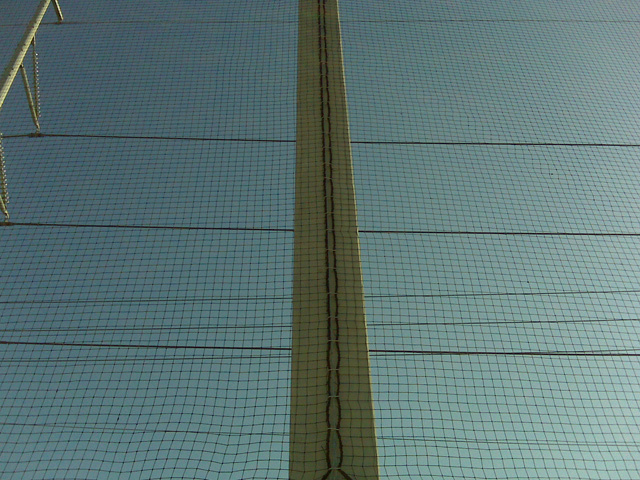 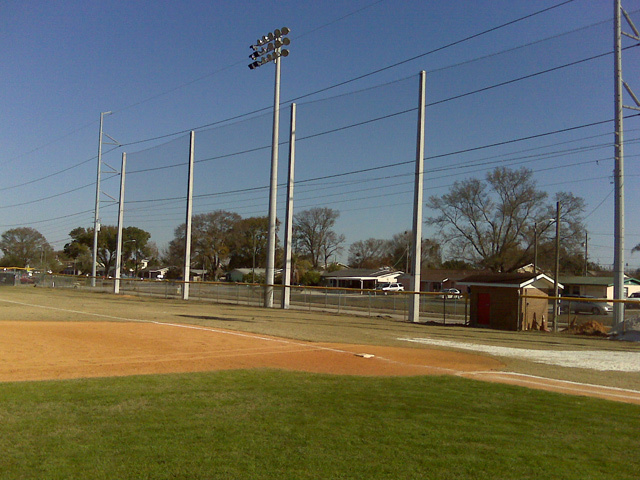 As you can see, the angles of the poles and netting form and shape to the field and parking area.